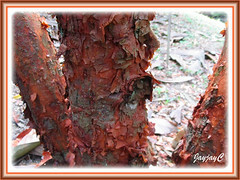 Syzygium antisepticum or Shore Eugenia is an exotic tree with its signature feature of distinctive reddish-brown, papery and flaky bark on its trunk. Truly a beautiful and an awesome sight to behold! Besides, it contains some medicinal properties for good health. Botanical Name: Syzygium antisepticum (syn. 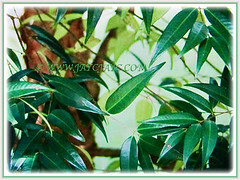 : Syzygium gratum, Syzygium ovatifolium, Eugenia antiseptica). Common Names: Shore Eugenia, Gelam Tikus in Malay. Etymology: The genus Syzygium is derived from the Greek word syzygos, alluding to the opposite pairs leaves. The species epithet antisepticum is derived from the Latin word for antiseptic, referring to the medicinal properties of this species. Origin: Native to Maritime Southeast Asia that includes Malaysia, Singapore, Brunei, Philippines and Timor Leste. 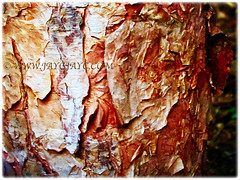 Plant type: An ornamental and perennial tree with papery and flaky reddish-brown bark. 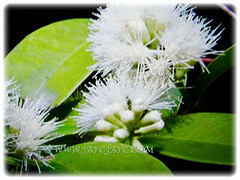 Features: Syzygium antisepticum is from the genus Syzygium that consists of about 1200-1800 species of flowering plants. A medium-size tree that can reach between 16-30 m in height. 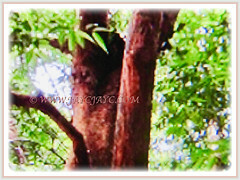 It has a distinctive reddish-brown, papery and flaky bark on its trunk. Its 2.5-8 cm long and 1.5-4 cm wide leaves are glossy dark green on the upper side and paler on the underside. Young leaves are pinkish or pale red in colour. Simple, evergreen and petiolate leaves are lanceolate to narrowly elliptic in shape. The leaves arranged in opposite pairs along the stems. Midrib is impressed on the upper surface with 10-15 pairs of secondary veins. The 5-petaled white flowers are borne in clusters and each individual blossom is small with numerous, prominent and white stamens. Eventually the flowers will develop into numerous fruits that are oblong-spherical, measuring about 0.6 cm in diameter. These are coloured white when ripe. 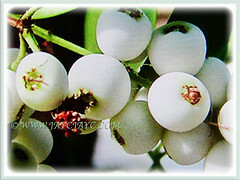 Culture (Care): Syzygium antisepticum or Shore Eugenia can be grown easily with least maintenance. Others: This beauty requires no pruning at all unless you desire to keep it low. Once every quarter, feed the plant with a slow-release granular fertiliser formulated for flowering plants. Generally, it is free from serious diseases and pests. 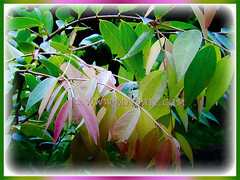 Syzygium antisepticum or Shore Eugenia is a tropical plant that is well suited to be grown in subtropical regions. 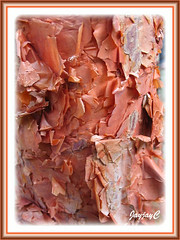 A fabulous-looking tree with reddish-brown, papery and flaky bark on its trunk. Plant this exotic and ornamental tree as a specimen or accent in your garden to marvel at and to impress your neighbours. It is normally found in dry evergreen forests and especially in coastal areas, as well as in lowlands, some riverine areas and hills. For non-hardy regions, you can plant in the greenhouse or conservatory. Propagation: Easily propagated from seeds though best sown as soon as they ripen. 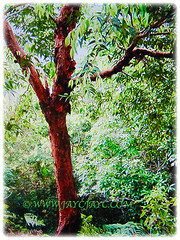 Usage: Syzygium antisepticum or Shore Eugenia, an exotic tree with trunk covered with reddish-brown, papery and flaky bark will be excellent to be planted in public parks and botanical gardens. Suitable as an impressive landscape tree in commercial parking bays and gardens. Shoots and young leaves may be eaten raw or cooked and eaten as a vegetable. Timber or wood is used for furniture, musical instruments, tool handles and for building of ships and bridges. Shoots and young leaves are eaten raw or cooked and eaten as a vegetable. The tree is sometimes harvested from the wild for local use as a food and a source of tannins. 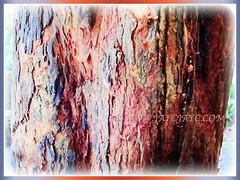 The tannin-yielding bark is used for toughening fishing nets and for colouring clothes reddish-brown or black. Besides, it contains some medical properties for good health, such as having high amounts of antioxidants. This will assist in the prevention of oxidative stress and other related disorders, including indigestion and stomach disorders.